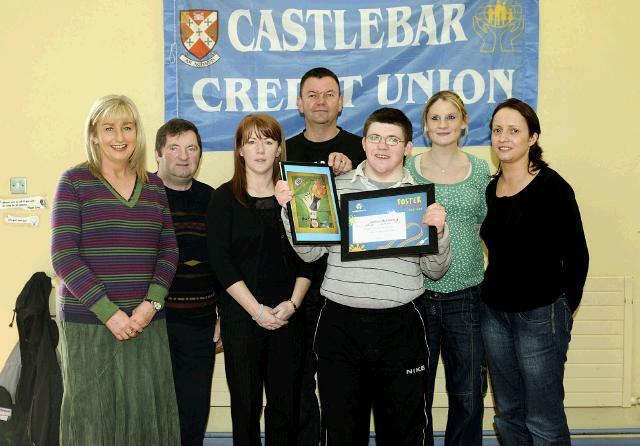 Pictured at St Brid's special school winners of the Castlebar Credit Union poster competition, which was held in the Cresham Hotel Dublin, 14-17 category winner James Mulvanney, l-r; Majella Murray, vice principal, Michael Murray, Credit Union, Denise Kinsella, Credit Union, Martin Clarke, Credit Union, James Mulvanney, Lorene Cunningham SNA, Pamela Ryan, SNA. Photo © Ken Wright Photography 2009. 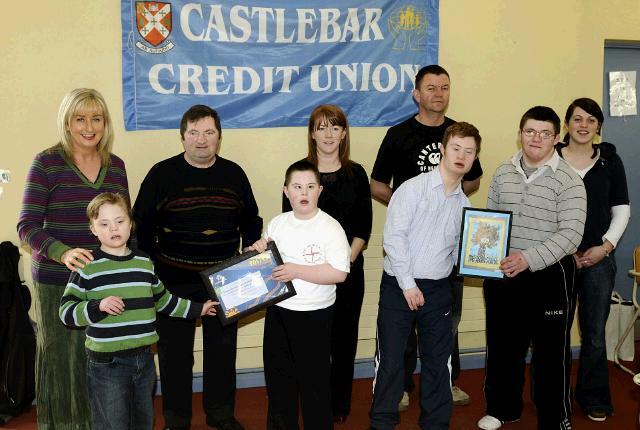 Pictured at St Brid's special school winners of the Castlebar Credit Union poster competition, which was held in the Cresham Hotel Dublin, team entry winners front l-r; Martin McGuire, Mateusz Muller, William Sheridan, James Mulvaney. Back L-R; Majella Murray, vice principal, Michael Murray, Credit Union, Denise Kinsella, Credit Union, Martin Clarke, Credit Union, Edel Diskin SNA. Photo © Ken Wright Photography 2009.